The relief of the archangel Gabriel. It once decorated a church in Mustafapaşa. 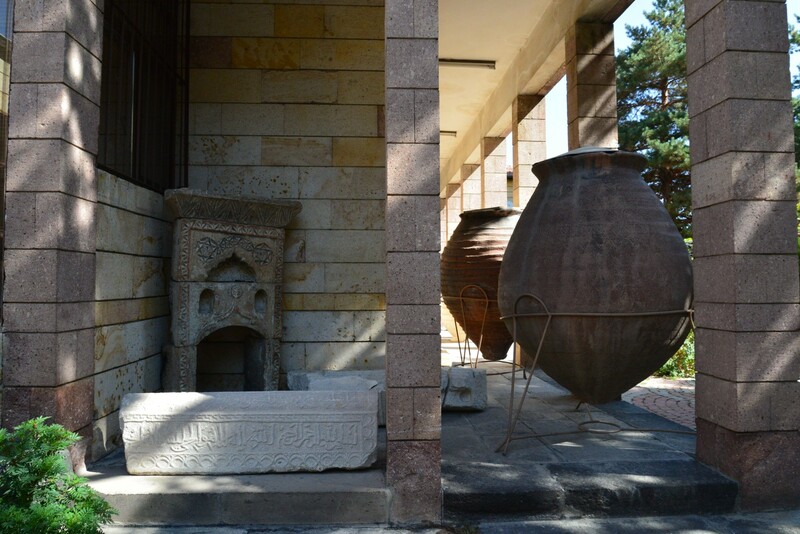 The museum in Ürgüp is one of the biggest disappointments that we experienced in Cappadocia. This tiny museum is neglected and underfunded. The prevailing atmosphere of perpetual boredom discourages the visitors from taking a closer look at the exhibits. We realize that most tourists do not come to Cappadocia because of the sudden desire to visit museums but to admire beautiful landscapes of the region. However, with such a significant tourist traffic, the lamentable state of this institution seems strange, just like in the case of Kayseri Museum. Why do local authorities not take advantage of the opportunity to attract the attention of visitors coming to Cappadocia and to interest them in the rich history of the region? The biggest attraction of this small museum is a 10-million-years old tooth that once belonged to an ancestor of modern elephants. It was found during archaeological excavations in Mustafapaşa. The ethnographic section contains everyday objects from the Ottoman period, including - kitchen utensils, traditional costumes, lamps, and chests. 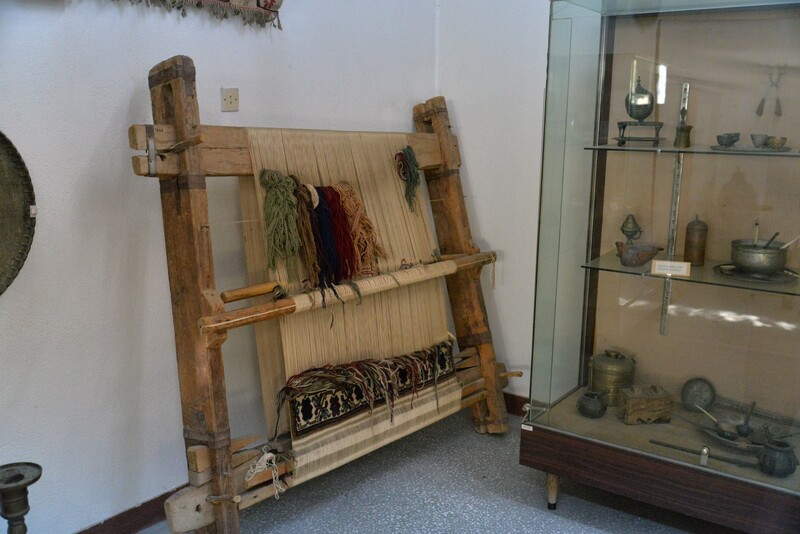 There is also the canvas for weaving carpets and some rugs made by local craftsmen of Ürgüp. Archaeological exhibits are displayed partly in the building of the museum, and partly - in its courtyard. Large stone exhibits, including inscriptions and reliefs, are placed outside. 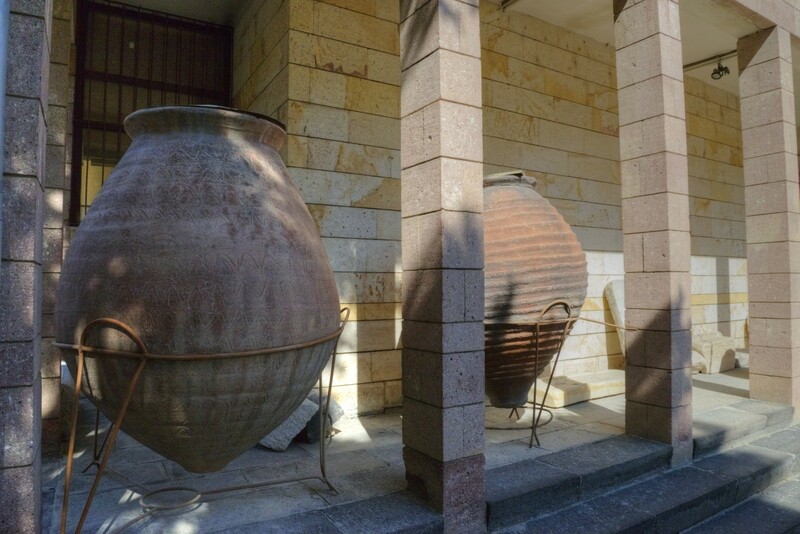 In the courtyard, you can also admire huge vessels known as pithos, once used for food storage. 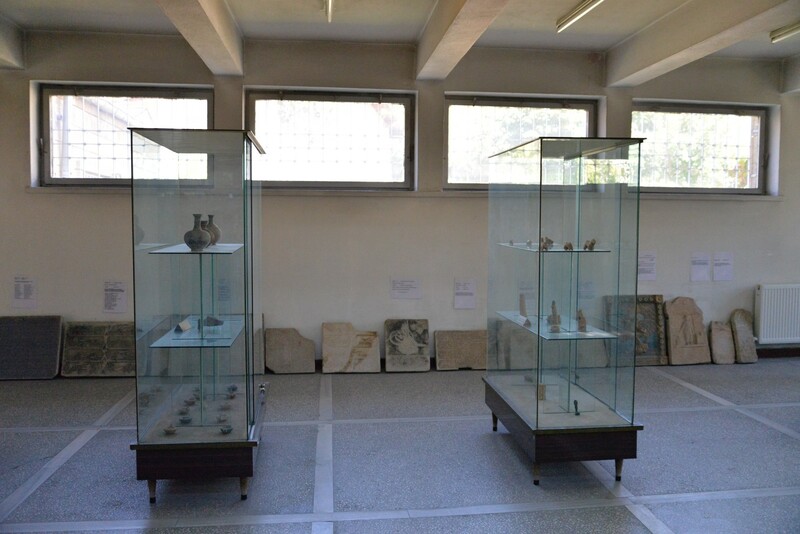 Inside the building, there are smaller archaeological finds from the area of ​​Ürgüp. Among them, you can see the coins from different periods of history, Roman oil lamps, terracotta figurines, and vessels made from the local clay. Among this collection, some of the most fascinating objects are so-called çeşme kitabesi. This phrase literally means 'fountain books.' These are decorative inscriptions that once decorated drinking fountains in Ürgüp, made in the 18th century. Among the collection of fountain inscriptions, there is a surprising addition - a colorful relief of the archangel Gabriel. It once decorated a church in Mustafapaşa and was made in 1843. Right next to it, there are grave steles, probably from the Byzantine period, with inscriptions in the Greek alphabet. The museum is situated in the center of Mustafapaşa, near Atatürk Boulevard, in the area of Mehmet Akif Ersoy Park. Ürgüp Museum is open from 8:00 am to noon and from 1:00 pm to 5:00 pm, from Tuesday to Sunday. Admission to the museum is free of charge. Unfortunately, the exhibits have only Turkish descriptions and are very brief. These are decorative inscriptions that once decorated drinking fountains in Ürgüp, made in the 18th century.